By most accounts, 2012 was a year of moving forward in the Pacific Northwest wine industry. After two difficult vintages, the weather cooperated in 2012 with what is expected to be a record-sized crop. New leaders entered the picture in Washington and Oregon, Gallo moved into Washington in a big way, and the wine industry continued to help drive the economy forward. In fact, Washington’s Gov. Chris Gregoire has become so confident in her state’s wine that she tugged on Superman’s cape a bit by declaring that Washington makes great wine, while California makes jug wine. With that said, here are the top stories to come of the Pacific Northwest wine industry in 2012. 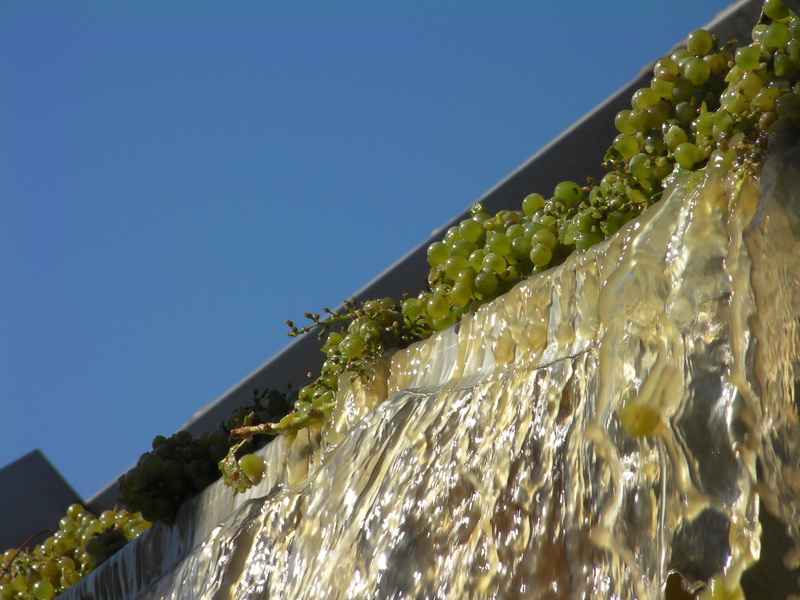 Sauvignon Blanc grapes drop into a destemmer/crusher at Barnard Griffin Wiinery in Washington, launching the 2012 wine grape harvest. After two years during which Mother Nature created all kinds of challenges with grape growers and winemakers across the Northwest with cool temperatures, 2012 turned out to be nearly perfect. 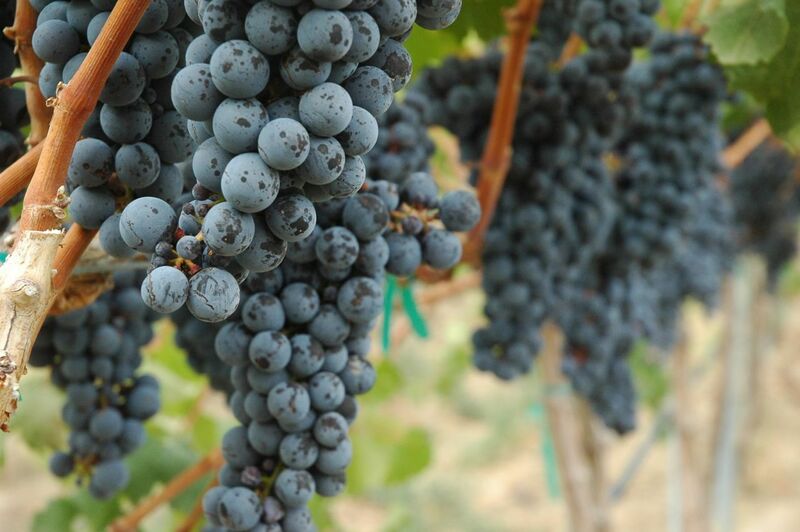 Winemakers in Oregon, Idaho and British Columbia reported similar conditions throughout harvest. 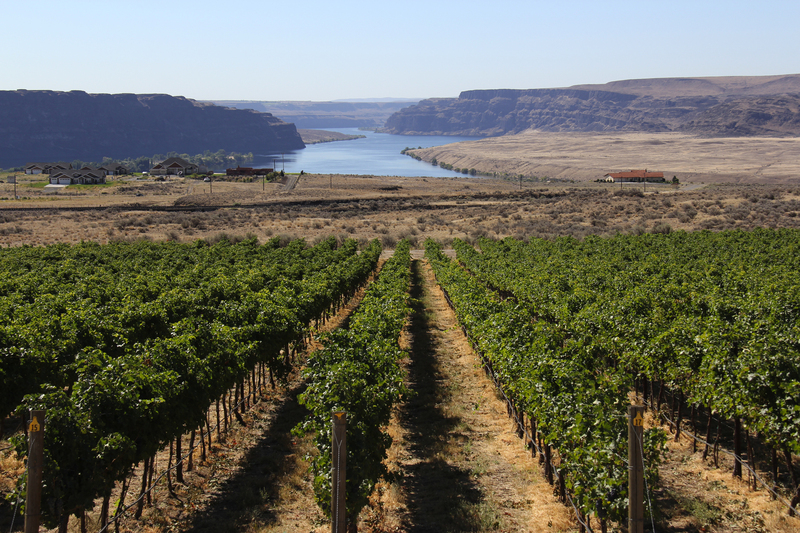 In June, one of the world’s largest wine producers confirmed that it had purchased two of Washington’s oldest wineries. Columbia Winery, which started in 1962 as Associated Vintners, was made available by the implosion of California-based Ascentia Wine Estates. Gallo, based in Modesto, Calif., also purchased Covey Run Winery from Ascentia, as well as the two wineries’ facilities in Woodinville and Sunnyside. Almost immediately after the acquisition, Gallo laid off much of the cellar staff, including Columbia head winemaker Kerry Norton and Covey Run head winemaker Kate Michaud. Gallo’s first move into Washington comes more than a decade after Constellation Brands — Gallo’s largest competitor — purchased Columbia and Covey Run from Corus Brands in Seattle. Ascentia purchased the wineries in 2008. According to “The Wine Project” by Ron Irvine, Gallo began buying Concord and apple juice from Washington in the 1940s for its low-end fortified wines. Ste. 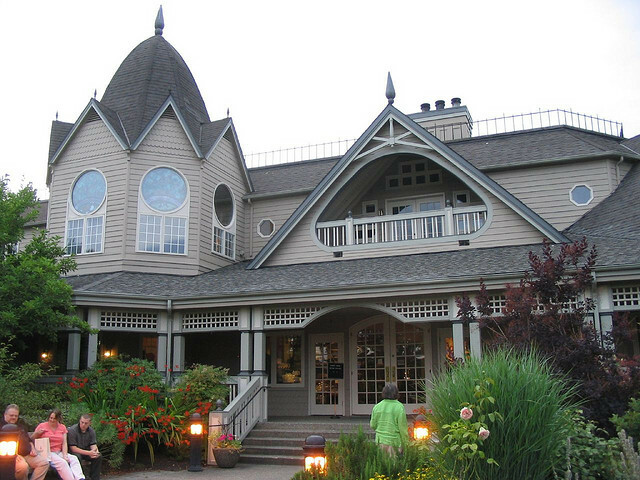 Chapelle, Idaho’s oldest and largest winery, is now owned by Precept Wine in Seattle. Precept Wine, the Pacific Northwest’s second-largest wine producer, purchased Idaho’s largest and oldest winery. On May 14, the Seattle-based company announced it acquired Ste. Chapelle in Caldwell, Idaho, from Ascentia Wine Estates as the Healdsburg, Calif., company sold off all of its Northwest wine operations. Precept was launched in 2003 by Andrew Browne and the Baty family. Two years earlier, the Baty-owned Corus Brands sold most of its wineries — including Ste. Chapelle — to Constellation Brands. Today, Precept trails only Ste. Michelle Wine Estates in terms of Washington wine production. Precept also owns more than 3,700 acres of vineyards in the Northwest. Ste. 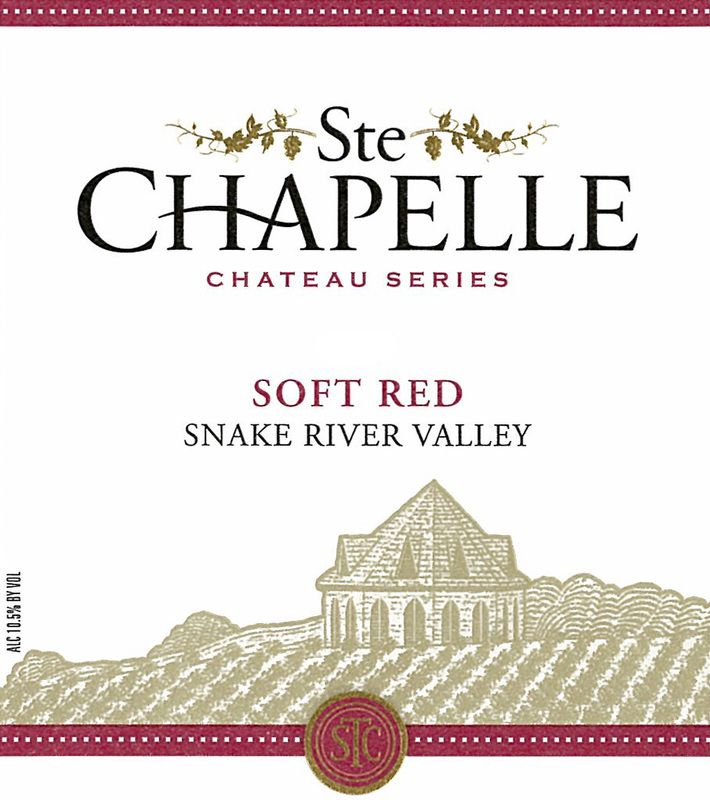 Chapelle began in 1976 and produces about 130,000 cases in the Snake River Valley, making it the state’s oldest and largest winery. Maurine Johnson, a 25-year employee of Ste. Chapelle, remained as the head winemaker. Precept’s Idaho holdings also include Sawtooth Estate Winery in nearby Nampa and about 500 acres of vineyards. 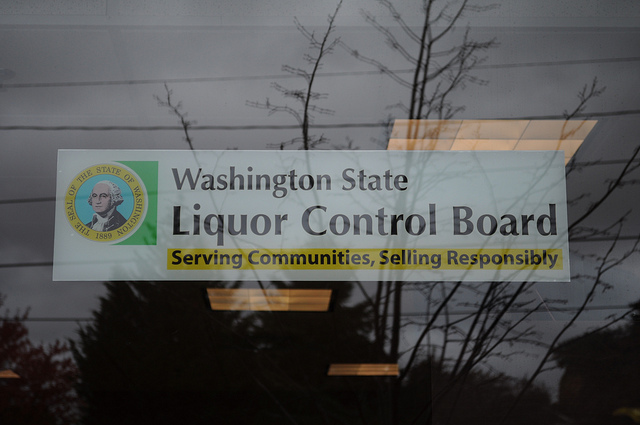 In 2011, residents voted to take Washington state out of the liquor business. So June 1, 2012, the state’s monopoly ended after 78 years — dating back to Prohibition — opening the doors to privatization. Initiative 1183, backed by Kirkland, Wash.-based Costco, withstood a legal challenge on the eve of its enactment as the state Supreme Court ruled 5-4 that it was constitutional. Large wine retailers such as BevMo! and Total Wine & More quickly moved in as I-1183 shuttered 166 state-operated liquor stores. And while citizens enjoyed increased convenience — retail options grew from 328 to more than 1,400 stores — many were confused by the pricing. Some merchants chose not to display the taxes they are required to collect at the checkout stand. And if the retail and distributor fees do not total $150 million by March 31, 2013, the state will increase the fees. Many of the state’s larger wineries were melancholy about the change because the Washington State Liquor Control Board was the state’s largest wine retailer. However, I-1183 allows manufacturers to offer quantity discounts to retailers — a strategy often used by larger wineries. Washington winemakers were given approval to use two new regions on their wine labels in 2012. The Naches Heights American Viticultural Area was approved in mid-December 2011 and became official Jan. 13. The Ancient Lakes of Columbia Valley AVA was approved in mid-October and became official Nov. 19. An AVA is a federally designated grape-growing region. The approval of these two AVAs — both inside of the vast Columbia Valley AVA, gives Washington 13 officially designated areas. Naches Heights, near the city of Yakima, has by far the fewest grapes of any in Washington, with fewer than 100 acres planted. The entire AVA is 13,254 acres in size. Meanwhile, Ancient Lakes near the Columbia Basin towns of Quincy and George is well established with 1,500 acres of vineyards. It is a favorite location for growing Riesling and other white wine grapes. Steve Warner and Tom Danowski built impressive résumés outside of the wine industry, but both returned to their native Pacific Northwest to take over the marketing efforts on the behalf of winemakers and grape growers in Washington and Oregon. 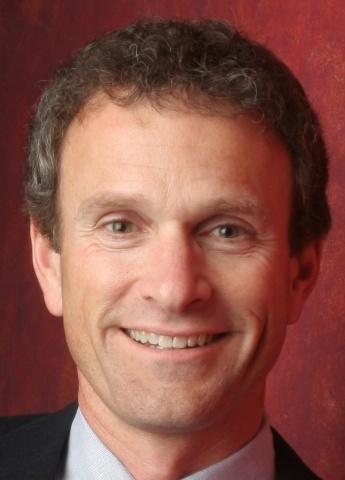 On Feb. 9, the Washington State Wine Commission announced Warner would replace Robin Pollard as its executive director. A month earlier, Danowski began his duties with Oregon Wine Board. Steve Warner is the executive director of the Washington State Wine Commission. 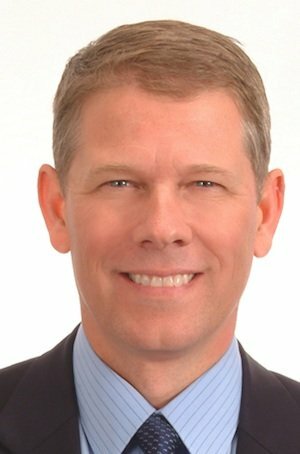 Warner, a graduate of West Seattle High School (1983), East Tennessee State and Rutgers, served in special operations both in the Air Force and the Navy before moving up the ranks of Merck & Co. His expertise in science and sales at the pharmaceutical conglomerate included regional and global marketing in Europe and Asia. Tom Danowski is the executive director of the Oregon Wine Board. Danowski, 51, a University of Oregon grad, hit the ground running thanks to his background as a marketing executive with Seattle’s Best Coffee, Coca-Cola and eight years with Ste. Michelle Wine Estates, where he worked for current CEO Ted Baseler. Danowski also spent time developing markets in Asia and said it makes sense for Oregon and Washington to work together on expanding their reach overseas. “The grape varieties that we grow are not often in direct conflict, so there’s a lot of real compatibility for presenting the wines of the Northwest together, and we’re going to find ways to do more of that,” Danowski said. Washington Gov. 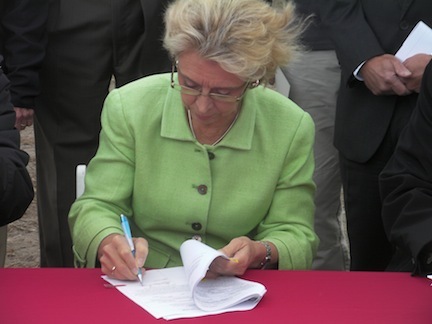 Chris Gregoire signs documents pledging $5 million toward construction of the Wine Science Center in October near the WSU Tri-Cities campus in Richland. Washington State University and the state wine industry made great strides toward building the Wine Science Center. The $23 million research and teaching center will be built at the WSU Tri-Cities campus in Richland, with construction expected to begin in fall 2013. In February, Ste. Michelle Wine Estates announced it was donating $1 million toward the Wine Science Center, bringing fundraising efforts to $10 million. CEO Ted Baseler is chairman of the Wine Science Center fundraising committee. After the state Legislature voted to kick in $5 million in April and the U.S. Economic Development Administration added another $2.06 million in October, the center was well on its way, with more than $17 million raised. The Wine Science Center will be built by the city of Richland on land donated by the Port of Benton. King Estate, one of Oregon’s most iconic wineries, lost its co-founder when Edward J. King Jr. died June 3 at the age of 90. King launched the renowned King Radio Corp., in his Kansas basement and grew it into an aviation communications giant before selling it in 1985 for a reported $110 million. Six years later, he and his son, Ed King III, created King Estate outside of Eugene. While King III was attending graduate school at the University of Oregon, he and his pioneering father began to envision a large-scale, environmentally conscious winery and vineyard focused on Pinot Noir and particularly Pinot Gris. They also set out to market Oregon wine from coast to coast and promote the concept of farm-to-table food and wine. King Jr., never lost his affection for the world of wine, spending his summers living at King Estate. He died having developed Oregon’s largest winery with an annual production of 250,000 cases, which includes the Washington-based NxNW brand, one of the world’s largest contiguous organic vineyards at 475 acres and raising the profile of Pinot Gris. A study released in 2012 showed the Washington wine industry is worth $8.3 million to the state. A study released in April showed the Washington wine industry has grown to $8.6 billion per year in statewide economic impact, up $3 billion from a similar study from 2006. The study, conducted by Stonebridge Research of St. Helena, Calif., showed the state wine industry accounts for 27,000 jobs worth $1.2 billion in wages. King County is the largest contributor to the wine industry, generating nearly $3 billion in total economic impact. King County is home to Chateau Ste. Michelle and also has the state’s largest population. In Benton County, the largest wine-producing county in the state, the wine industry is worth $1 billion to the economy and contributes nearly 5,200 jobs. Grant County is the second-largest wine-producing county, according to the study. The study also showed the wine industry generates $238 million in state and local taxes. 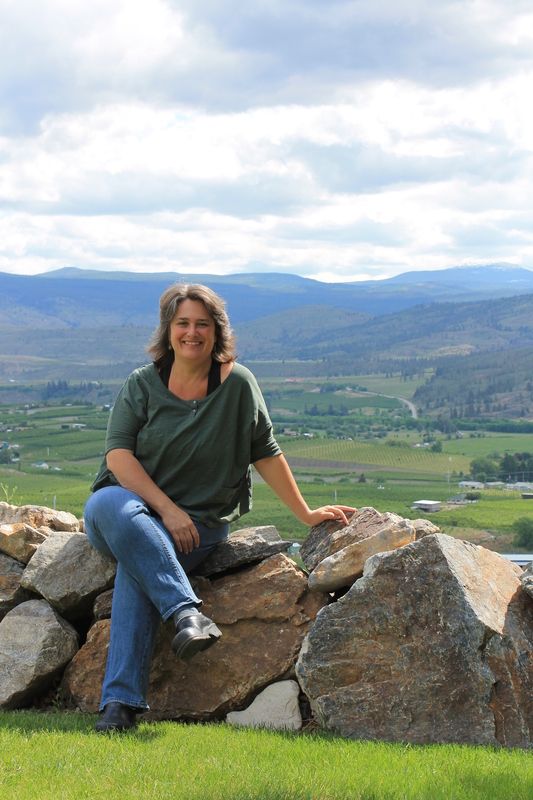 Sandra Oldfield, owner and winemaker for Tinhorn Creek Vineyards in Oliver, B.C., leads the battle to be able to ship wines across Canada. On June 28, C-311 was signed into law in Canada. It allows wineries to ship beyond their own province to consumers throughout the country. Alas, most provinces continue to cling to the 1928 law. American ex-pat Sandra Oldfield, winemaker, president and CEO of Tinhorn Creek Vineyards in Oliver, British Columbia, continues to lead the fight in her adopted Canada on Twitter via the hashtag #freemygrapes. She proved that she can buy a shotgun over the internet and have it shipped from a Saskatchewan gun dealer to her home, even though it is illegal for her to ship wine to one of her wine club members in Ontario, for example. Unfortunately, the battle continues. The year ended with Oldfield and other B.C. winemakers being able to ship directly only to customers in Manitoba. British Columbians also can order direct from other provinces, but Alberta, Saskatchewan, Ontario and Quebec are among those that continue to bar direct shipments. — Andy Perdue and Eric Degerman run greatnorthwestwine.com. What! What! What! How can you expect to gain legitimate standing in the online wine community when you compile a list of the year’s top stories that doesn’t include Robert Parker Jr.’s sale of The Wine Advocate? Don’t know if you are nervy or naive, but the list is refreshing. Good luck in the new year! Thanks, Mike. You made me laugh out loud.